This condition is also known as single-sided hearing loss, in which one side of the ear is normal. It could be in the range of mild to profound loss. The unilateral hearing loss could be caused by infections, inter-uterine infections (from mother to the fetus), congenital diseases, and trauma to the ear or/and head regions. How to identify children with Unilateral Hearing Loss? Children with unilateral hearing loss could be difficult to be identified, as they themselves did not really understand the balance of hearing in both sides of the ears. However, hearing screening test can be done within the first twenty-four hours of life. Therefore, if your child met the criteria of high risk register (such as abnormal face or/and ear), the hearing screening is mandatory to detect the impairment. 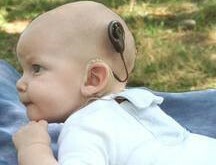 Nonetheless, at present, hearing screening is sought to be done onto all babies. Uses body language and physical cues to help them hear better during usual conversations. 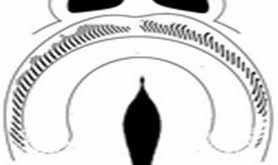 For example, they may use cupping hand at the back of (affected) ear, excessive facial expressions, and turning head and face (of the better hearing side) towards the speaker to hear better. Prefers to be left-alone, becoming more passive and show social withdrawing attitudes among peers. If your child is having any signs as mentioned above, the next urgent step is to have his/her hearing checked by an audiologist! Commonly, a child with Unilateral Hearing Loss would have difficulty to detect a sound source. For example, if the sound comes from the affected side, the child would give a later response, or sometimes appears less responsive. Consequently, if a moving vehicle honking or coming from the affected side, it may be dangerous for the child. He may not notice it and thus, ends up having injuries. In addition, a noisy environment may hinder the child’s ability to understand speech in his daily activities. This condition would be best explained by the fact that binaural listening allows an individual to hear better and improvise the quality and clarity of the speech sounds (called as binaural summation effect). Hence, a child with Unilateral Hearing Loss may experience prolonged communication difficulties over the time. Apart from that, single-sided hearing impaired child may also be having difficulty to stay focused in his class or during educational session, especially when the teacher’s voice is masked by noisy environment. It may be worsened if the child sit at the back of the class or near the window whereby noise source is present. Nonetheless, this kind of impairment does not hinder the process of developing language and communication skills of the affected child. Those affected would still could develop speech and language, but may be slightly delayed (Northern & Downs, 2002). Unlike their normal counterparts, they need supports and helps from parents, guardians, teachers and peers. Those are too being the best models throughout their learning process. Always talk to them from their normal hearing side of ear, so that the speech sounds better with improved clarity. Play actively using sounds and interactive communications. If the child is having difficulty to locate sounds, visual cues and body language would be very helpful. Choose less-noisy places for communications or reduce the sound sources during daily communications. What is the management for Unilateral Hearing Loss? The use of hearing aid would help the child with Unilateral Hearing Loss (Katz, 2001). This device would amplify the speech sounds so that he hears better and balanced from both sides. In classroom or larger spaces, FM system could be used. The parents and teachers may use a mini microphone while the child’s hearing aid is coupled with a receiver. FM system may boost up the speech sounds and lower down the environmental sounds, therefore the communication would be more effective. Individuals with Unilateral Hearing Loss, did not notice the problem itself as they were having a normal hearing in one side of the ears. Those affected with this problem may have a normal lifestyle as their bilateral normal-hearing peers. However, it does not mean that the problem should be left untreated or without a proper management. De Souza, L. (2012). Critical review: Do Personal FM Systems Improve Speech Perception Ability for Aided and/or Unaided Pediatric Listeners with Minimal to Mild, and/or Unilateral Heaering Loss?. University of Western Ontario. Katz, J. (2001). Clinical Audiology. Fifth Edition. Lippincott Williams & Wilkins.